The chain of custody form must be completed, signed and should accompany any samples submitted for testing. 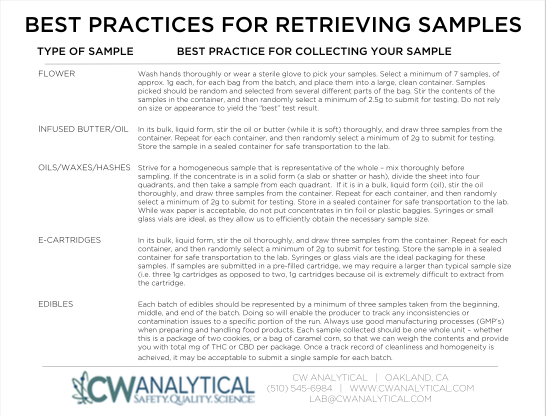 For official compliance testing, please reach out to the lab to schedule a sampling event. Submitting the proper sample size is necessary in order to ensure the lab is able to perform all requested tests. Proper representative sampling is critical to obtaining accurate data. Your test results are only as good as your sampling!